One casualty of Eminem's upcoming album is a frequent visitor to the backburner: Dr. Dre's long-awaited Detox album. It will be Em's first album since 2004's Encore, which gave the MC a much needed break from over-exposure and will likely set this disc up to succeed. However, Eminem is "really heated" about leaks, including one that had him reciting Dre's lines. 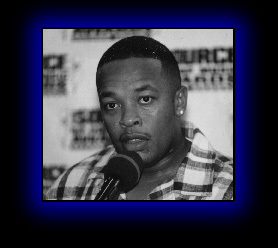 "It wasn't close to finished, and it even has me doing guide vocals for Dre as a suggestion of how he could lay his verses down," he said in the interview, which was conducted via e-mail. It's like someone catches you peeping in your window before you got the Spider Man costume all zipped up! Nobody is supposed to see that." Swizz Beats' claims that he had worked on a sequel to "Stan" also raised Em's temp. "There isn't a 'Stan 2,' and there won't be. Stan drove his car off a bridge and I'm not writing a song as Stan's ghost. That would just be really corny... I haven't worked with Swizz on this album," adding that Dre is his preferred producer. "I don't have chemistry like that with anyone else as far as producers go -- not even close. Dre will end up producing the majority of the tracks on Relapse."